I limited myself to two books this week as I have a couple of classics half-read that I really need to finish. 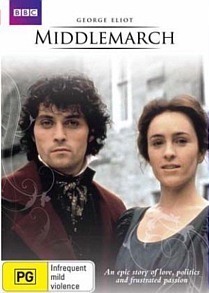 One of which is Middlemarch so I decided I'm far enough along to enjoy the DVD without it spoiling the story. Sea Escape by Lynne Griffin - ' an emotional, beautifully imagined story inspired by the author's family letters about the ties that bind mothers and daughters.' Not a title I've heard of before but it sounds as if it might be rather good. 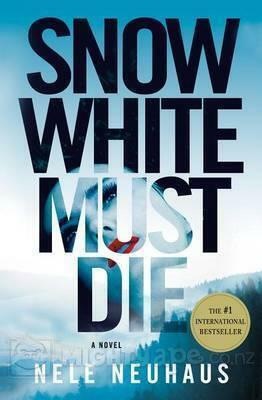 Snow White Must Die by Nele Neuhaus - ' In a small town in Germany a boy is accused of murdering his beautiful girlfriend. But this no fairy story..' A murder mystery. I know I'm not the best of commenters but I do enjoy reading your posts. I started Snow White last night - so far nothing out of the ordinary. I love the cover of Sea Escape. Enjoy! It is lovely, Linda and what first caught my eye - hope what is inside is as good. Oh Middlemarch. It is one of the very, very few books that I've started repeatedly, put down and yet am still determined to eventually read. One day it is going to happen! Enjoy your books and DVD! Yay, Middlemarch! I read it a few years ago, and loved it, though it does take some time to get through. I had no idea there was a film adaptation, though. I'll have to check that out.